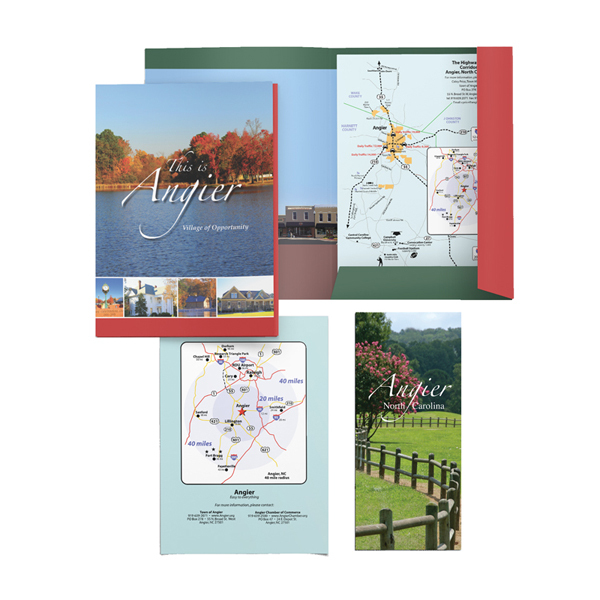 Amico Brand Design has been working with the Town of Angier for several years, working at the pace that is right for the community. The community has some lovely, unrecognized assets. In phase one, an asset inventory was completed. An informal economic development advisory committee was formed. A visible project to attract and engage the community was identified (working on the town square.) Attractive economic development collateral was developed to be used as the town identified its path to a brand. A Leadership Angier class was developed to help identify community leaders. In a second phase, meetings were set up with town commissioners to help identify priorities and to identify a process to engage with residents. A bus trip through the community helped identify strengths and weaknesses, followed by an exercise to help the commissioners prioritize tasks in an action plan. In a third phase, a community survey was created to asses awareness of and support for a museum. Future projects will focus on support for the museum initiative and creating authentic points of distinction.